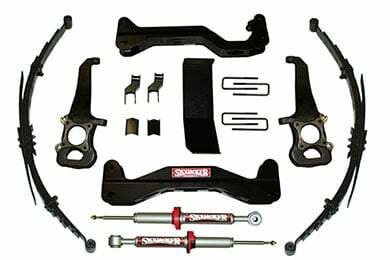 Take your Jeep Grand Cherokee from factory to ferocious with the hottest parts for performance, protection and style. Owning a jeep isn't just about driving a heavy-duty off-roader—it's about a lifestyle. Your Jeep Grand Cherokee is your canvas and Jeep Grand Cherokee performance upgrades, custom parts for your Jeep Grand Cherokee and performance mods available for your specific year, make and model, make your ride perfect. Defend your rock crawling off-roader with a strong-as-steel bull bar for a Jeep Grand Cherokee. They're not just for protection - they look cool, too. 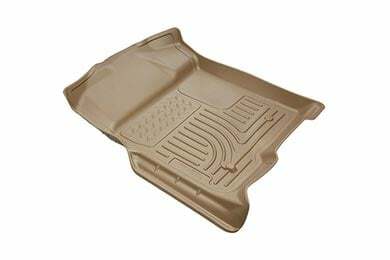 Keep the muck that your Jeep drives through from ruining your ride with Jeep Grand Cherokee floor mats. They'll keep your SUV looking new for miles to come. 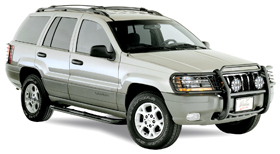 Create extra space in your rugged ride for all your gear with a Jeep Grand Cherokee roof rack. 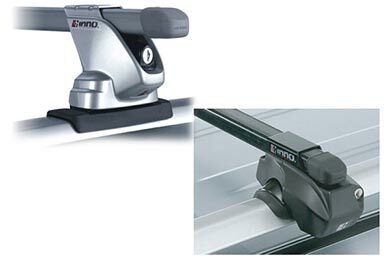 With one of these handy tools, no bikes, skis or suitcases are left behind. With all that rocky terrain, it's easy to see how some Jeep Grand Cherokee lowering springs improve handling. Now tackling the hills seems as easy as cruising down the highway. 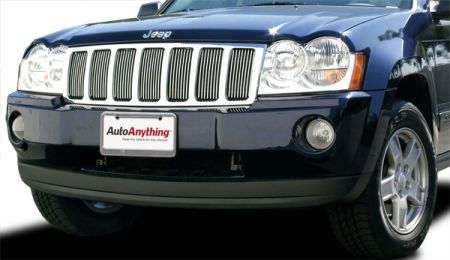 Equip the front of your ride for the treacherous trails with a Jeep Grand Cherokee custom grille. Shiny, stealthy, sleek - the options for the face of your Grand Cherokee are endless. Reference # 756-094-283 © 2000-2019 AutoAnything, Inc.